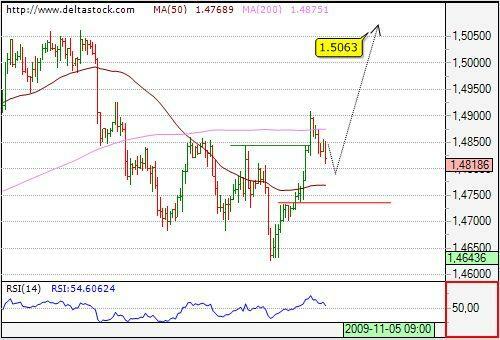 The pair is still in the consolidation pattern below 1.4935 and the overall bias remains positive for 1.5063 high. Crucial on the downside is 1.4810 low. 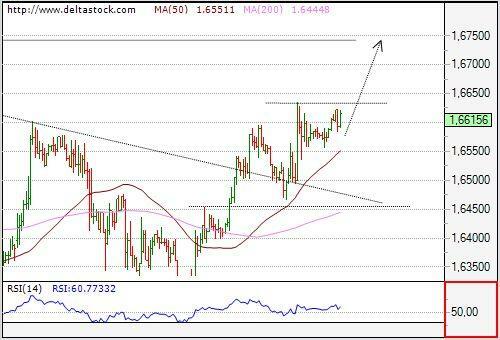 A break above 1.4917 is to be expected later during the day and it should target 1.4984 and 1.5063. 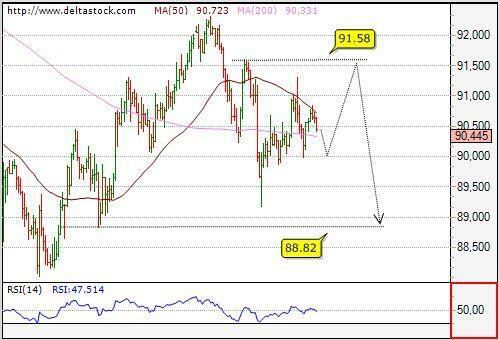 Yesterday's downtrend bottomed at 89.99 failing to reach precisely the support area around 89.83 and a rebound followed, peaking at 90.85. Current bias is negative again towards 89.83 area, where a reversal should be expected for 91.58 resistance zone. Initial resistance comes at 90.60, followed by the crucial 90.75. Obviously yesterday's test of 1.6438 support failed and with the recent break above 1.6545 resistance, the overall bias is bullish towards 1.6696, en route to 1.6752. Intraday dynamics is neutral with a risk for one more slide to 1.6558 support before building a reliable base for next leg upwards, towards 1.6752.